If you didn’t catch Michael Harriot’s article posted on The Root titled “The Five Types of ‘Becky’”--be sure to check it out. Today’s cover art employs Harriot’s definition of “Becky” for your quick reference. We loved this article here at The Broadview. It sparked conversation. It made us shut up. It made us think more carefully. Discussion--silence--reflection. A good cycle. And because we loved this article, we wanted to spend some more time with it. So we asked a few badass broads to help us do so. Meet Neeti, Lucille, and Katherine. We invited them to share their responses to Harriot’s article. This article literally made me lol. That’s the thing about satire: when well done, it both hurts and heals. It makes you laugh a little, makes you a little uncomfortable, and, if you’re paying attention, makes you more than a little uncomfortable that you laughed. So yeah, I loved it. I’ve seen each one of these types of Beckys; many as personal friends. I certainly wouldn’t have been able to call them out as such both because they wouldn’t want to hear it, but also because they likely wouldn’t get the reference (insert snark emoji). The post nails it, if you ask me. It validates a lot of frustration I’ve had with so many for so long, but magnified ten-fold since the election. But it also made me uncomfortable—because while the author describes not all White women as Beckys but all Beckys as White, I don’t think that’s necessarily true. I see Beckys among my South Asian women friends. The privilege isn’t White privilege, but it’s there. Similar, but slightly different. There’s irony in there somewhere, too—remember the Becky frenzied speculation surrounding Beyonce’s calling out of Jay-Z’s mistress in Sorry, whom many believed was a South Asian woman (“You better call Becky with the good hair”)? I don’t know how many of my South Asian sisters will read this and be willing to combat the Becky in each of us; it may be easier to just have good hair. Lol this article is amazing because of course there are many types of Beckys. I have encountered Beckys at work, out at bars, in networking circles, on vacation, and in every higher education classroom I’ve ever been in — every Becky, different and nuanced, the way white women get to be and women of color do not. As a seemingly inoffensive and accessible black woman who lives and works in predominantly white spaces (Hey, Colorado! ), I am often the person Beckys confide in. Beckys who get cornrows in fanciful colors for Snowball Music Fest, who ask me to explain entry-level concepts of race and class theory that could easily be sorted through with a Google search, a library card, and a critical mind. These are the Beckys who “love how I seem like an old soul” and “really appreciate that I can talk rationally about this stuff.” I constantly have to assess what kind of Becky they are, and if they are too deeply rooted in Becky-ism to be worth the time to teach or befriend. Because let me tell you, Beckys will take up all of your time if you let them. Let’s be honest. There are more than five types of Beckys, the same way there are many types of racism: subtle, brazen, unassuming, ignorant, generational, et al. Chances are, if you don’t like that I equated “relatively harmless” Becky-ism with big bad racism just now,you might be a Becky, too. Cheers to The Root for this delightfully pertinent Becky starter pack. Prior to reading this article, I had only heard the term Becky as it was referred to in Beyonce’s Lemonade album. That’s white privilege for you. This article is necessary reading for all white women, because we continue to engage in Becky behaviors that uphold white supremacy and further oppress people of color. Some of you may have read this article and thought, “Oh no, I am not a Becky. I have never done any of those things.” If that was your first thought, you’re definitely a Becky, and need to do some more work on unpacking your privilege. Personally, I approached this reading from a place of empathy. As a mental health professional, I do that with most things; but when people of color still have the patience to educate me, I take that seriously. I read through each Becky, and with almost every single one, I could identify behaviors that I have engaged in at some point in my life. It has taken me years to begin to dismantle the oppressive behaviors I have been taught and to examine how I participate in oppressive systems. I realize everyday there is more to learn and much more work to be done. Reading this list was another example of why I must engage in this practice—consciously—every single day and to call out racism when I see/hear it, and never be complicit. My advice for the broads who read this and were offended, who read this and were uncomfortable? Lean into that. If it made you uncomfortable, it is supposed to. That’s the point. Discomfort is how we grow, it’s how we challenge the norm, it’s how we start that process of dismantling systems that protect and promote us while oppressing people of color and rendering them invisible in our culture. It is our responsibility to undo the dynamic of us vs. them. So read through the Beckys. Identify the Beckys you have been, and then stop doing those things. Immediately. If you’re confused about something, reach out to a white friend (or me, if that is most comfortable!) and have a conversation. Once you know, there is absolutely no excuse not to change. If you know better, do better. 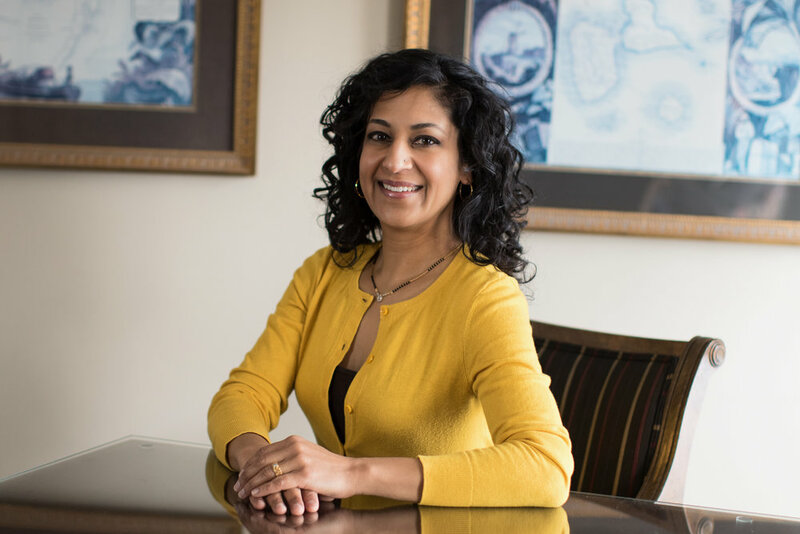 Neeti Pawar is an attorney with a solo practice in Denver and creator of the South Asian Bar Association of Colorado.